← I’m sick today but . 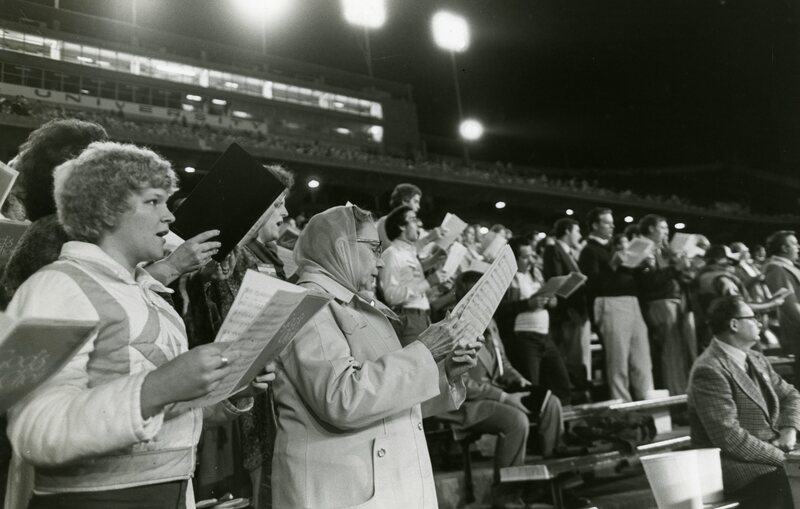 . .
Rice Stadium hosted the Billy Graham Crusade from November 8 to November 15, 1981. 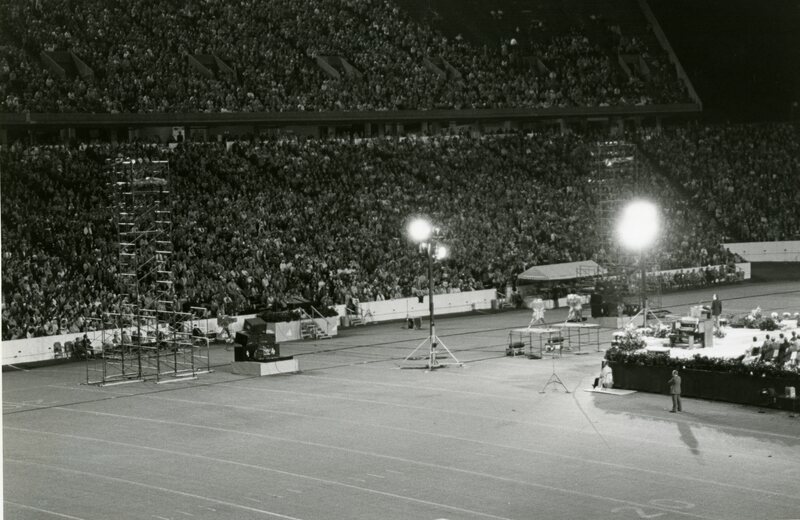 Average nightly attendance for the week was 18,000. Not to comment on how they determine crowd size at our football games, but that looks like 18,000 actual human beings. Bonus: News flash! 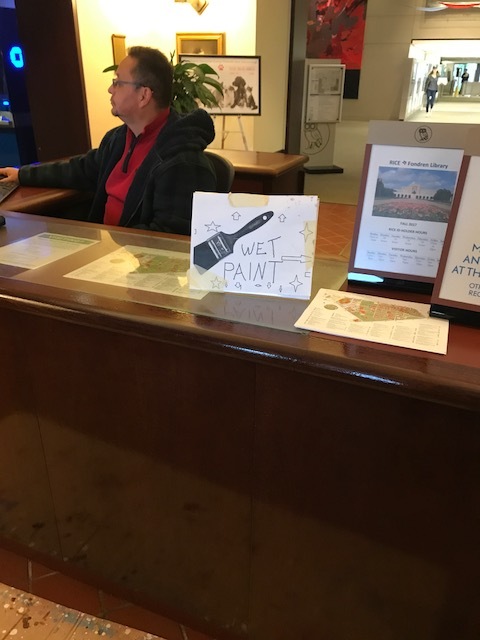 They’ve repainted the front desk at Fondren. I remember it well. The campus was nearly inaccessible by car. I believe one of the reasons that the Shadyside homeowners association purchased and closed Remington and Longfellow Streets was because so many people were trying to cut through their neighborhoods. Have they ever used the stadium for open-air rock concerts? This could be a money-maker for Rice. Maybe a spring music festival with a series of bands??? I don’t think we’ll be doing that again. 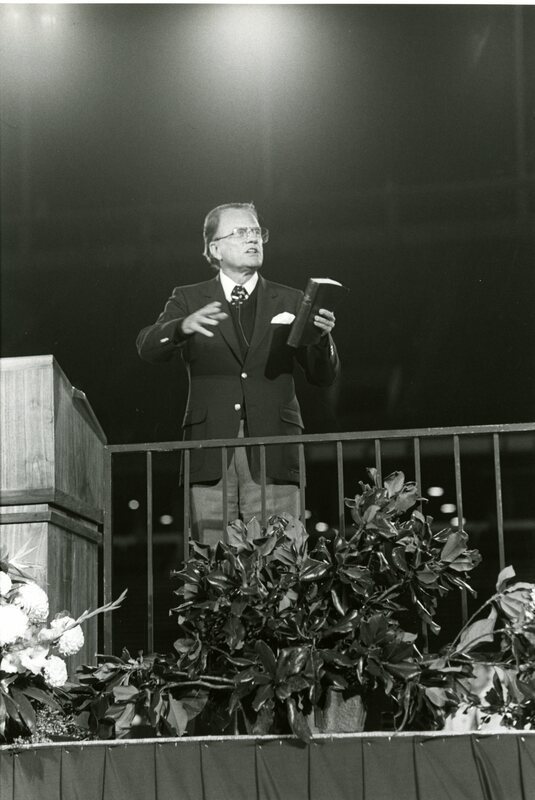 The story that I remember about the Graham crusade was that the “R” Room was knee-deep in cash, after they gave up on trying to manage the donations in an orderly fashion. I remember that the event spanned November 13th, and the administration was extremely concerned that the stadium would be a tempting target for Club 13. As I recall, they threatened dire consequences if anyone dared approach the stadium a la mode.